The Internet and smart phones are two modern inventions that most people cannot now live without, especially since the increased processing power of phones is being used to browse the mobile Web. 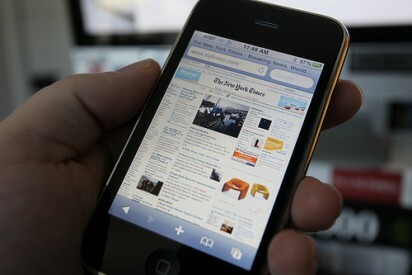 Statistics reveal that more and more people are using their mobile phones to access the Internet. According to Bango, a mobile payments and analytics specialist, the number increased from 10.8 million in January 2008 to 22.4 in January 2009. These figures are hard to ignore and there are suggestions that these growth rates are set to continue for the foreseeable future. If you’re a business owner, a blogger, marketer, or brand manager, then check out your traffic stats and see for yourself the increase in the number of your mobile searchers. Unfortunately, not a lot of webmasters have begun to recognize the importance of optimizing their sites for mobile. After all, what works well on desktops won’t necessarily work – or look good – on a smart phone. More than artistry or flashy design, a website needs to focus on ease of use and navigation. It also needs to provide the searchers or users with the information they are looking for; it doesn’t matter whether they’re looking for it using a desktop or a smart phone. The success of mobile websites can be attributed to several factors, including simplicity. Indeed, finding enough space on a normal site can be difficult at times; it gets tougher as the screen size becomes so much smaller. The best suggestion I can make here is to keep things simple. Anything that doesn’t need to be there can be removed; keep the site structure as clear and easy to navigate as possible. With many mobile sites, scrolling down the page is unavoidable, so to quickly give the searcher what they are looking for, keep the most important content as close to the top of the page as possible. Trying out a website on your own mobile phone will give you an idea how a website would appear on the phone screen, and it will soon become clear what changes need to be incorporated. To make the website more mobile-oriented, you can choose between optimizing the existing one and building a mobile version of it. If your site is built on WordPress, there a lot of plugins that will ease the burden of developing a mobile site. WPtouch is currently one of the best available; using this plugin removes the need to recode the HTML or CSS. WPtouch also eases the customizing process in terms of appearance, helping you create a quick, sleek, and user-friendly version meant for the mobile phone, be it an iPhone, iPod Touch, Android, Blackberry, or any other smart mobile device. If you are lucky enough to have a developer on hand, the Mobify application can also be used. Some aspects of this program are available free of cost, but naturally you’ll get more with the paid version. Mobify is great for creating optimized images, mobile advertisements, and a stylish layout suitable for the small screen. Using either of these programs or any of the countless new products that seem to have recently hit the market makes the development of a mobile site much less of a daunting prospect. Also, as the uptake HTML5 begins to increase, the development of a mobile site will become even easier. About the author: This is a guest post by Neil Jones, the head of marketing for eMobileScan, one of the UK’s leading Barcode Scanner experts and also offer one of the largest range of handhelds including the Datalogic Memor.